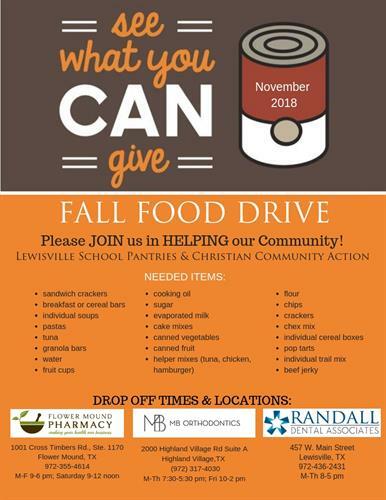 Fall Food Drive to benefit Lewisville High School, Kilough High School and Durham Middle School Pantries, as well as the Christian Community Action. We will be taking food items all month. Items needed are on the flyer.